This is one of my favorite soups. 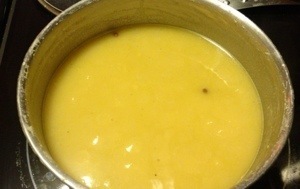 In many cuisines there are various versions of a good lentil soup. This one happens to be what I call Le Lentil – and the easiest one to make! This is a very soothing and healthy soup. Using quality simple ingredients will make a difference. It is perfect soup for fasting; whether you are fasting for Lent or Ramazan. It is gentle on the stomach. This is also a great vegetarian dish. A small cup will work your appetite for the main course. Add water to a deep pot and add lentils, bring to gentle boil. This step does take time, but once it starts boiling crack the lid to prevent frothing and spillage. Also start stirring every two minutes an add the peppercorns. I usually add about 4-5. 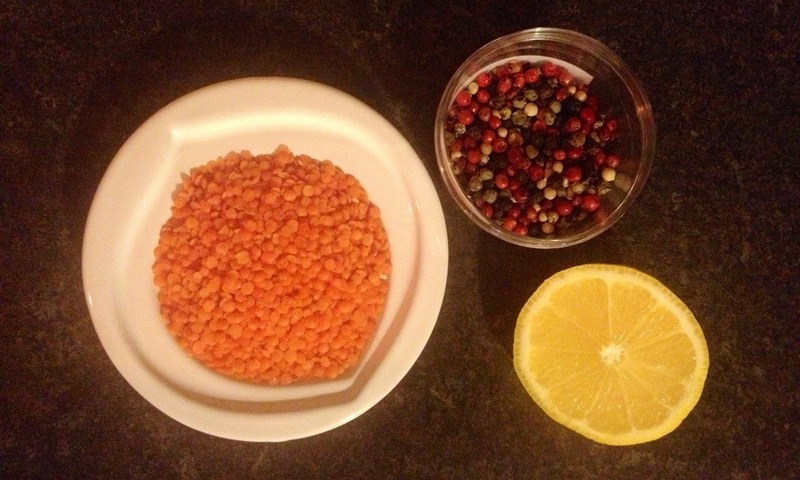 You will know lentils are done when they break up and almost dissolve in the water. You will also notice the soup becomes a golden yellow color. 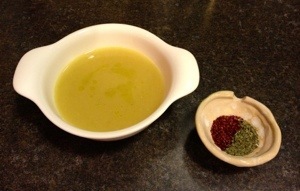 Once you are at this stage add the olive oil and salt, then stir to mix it well. Cook for another 5 minutes in low heat. When I use two different kinds of lentils then I purée the soup before serving. But today since I used one kind I am serving it au naturale! Serve warm in a bowl and garnish as you like. 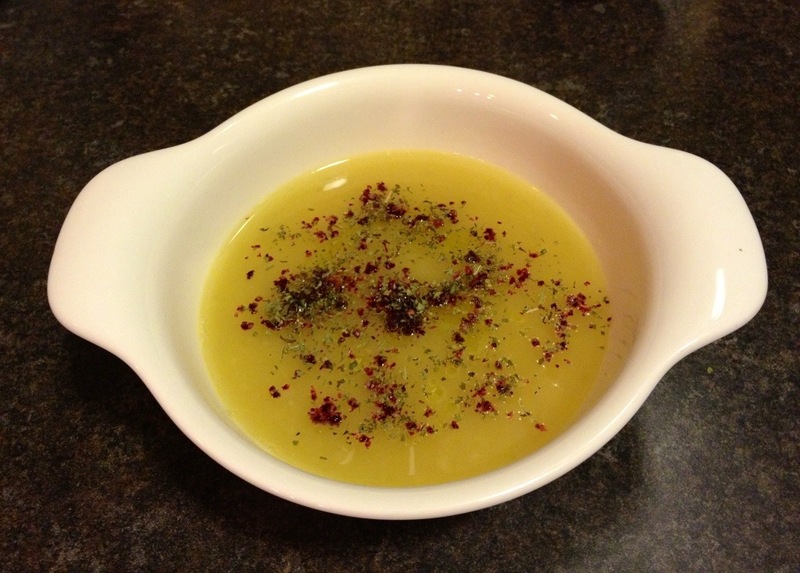 I often use sumac and mint, and sometimes a dash of lemon juice. I love this soup, it was my late grandfathers’ favorite soup. Making it always reminds me of him; all the good times when we ate it together with a side of toasted baguette slices. My friend S had planned this night for many months and we finally made it. 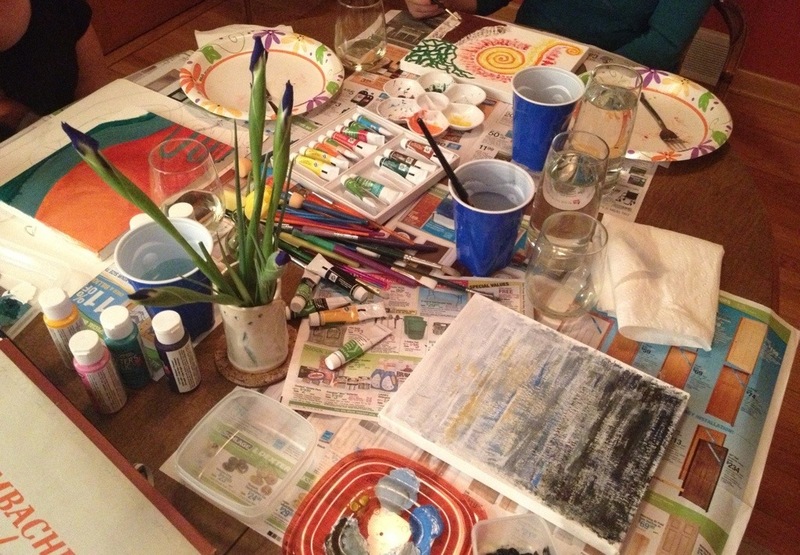 She gracefully hosted me and our dear friend L at her home for a night of painting. This turned out to be a great night where we bonded deeper over art. 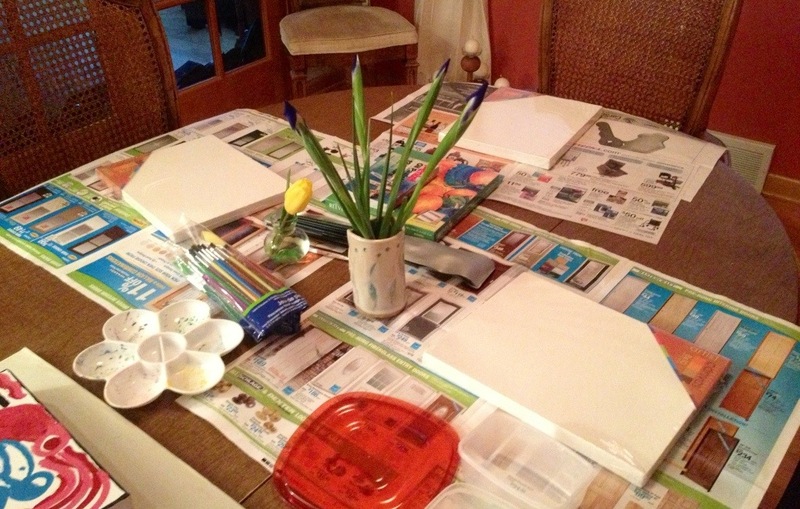 S bought 3 small canvases and brushes for acrylic paint. 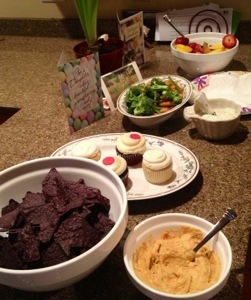 She also had snacks and wine all ready for us. 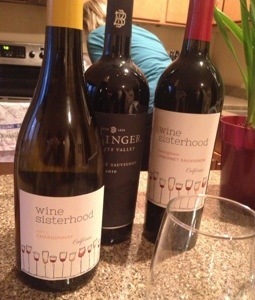 Even the vino had sisterhood in the name. Our paintings were so different. Each seemed to reflect our individual journeys. Common theme was growth and hope forward. Noooo, we did not just paint and talk art. We talked present and past relationships, glanced at the TV once in a while for March maddness – L is really into it. Clinked our glasses and planned an upcoming birthday for S.
I had not painted for a while. This certainly reignited my interest in painting, especially oil painting. Realized how much I miss it. Above all, this was such a meaningful way to spend time with friends. These are the kind of nights where you truly get to know friends. Learn things you did not know about them. Feel blessed by their presence and having the opportunity to extend it back. Highly recommend this kind of exploratory, positive activity. Got even more interesting when S read tarot cards for us. Never had that before; our cards were so spot on that it was a little scary. Ladies here is to you! Looking forward to our next artful night.